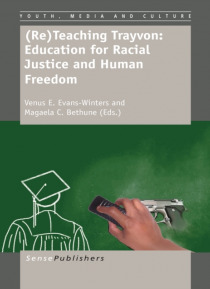 The authors bring you in this edited volume a collection of essays that address the relationship between racial violence, media, the criminal justice system, and education. This book is unique in that it brings together the perspectives of university professors, artists, poets, community activists, classroom teachers, and legal experts. With the Trayvon Martin murder and legal proceedings at the c… enter of reflection and analysis, authors poignantly provide insight into how racial violence is institutionalized and consumed by the mass public. Authors borrow from educational theory, history, gender studies, sociology, cultural studies, the arts, legal scholarship, and personal reflection to begin the dialogue on how to move toward education for racial and social justice. The book is recommended for secondary educators, community organizers, undergraduate and graduate social science and education courses.